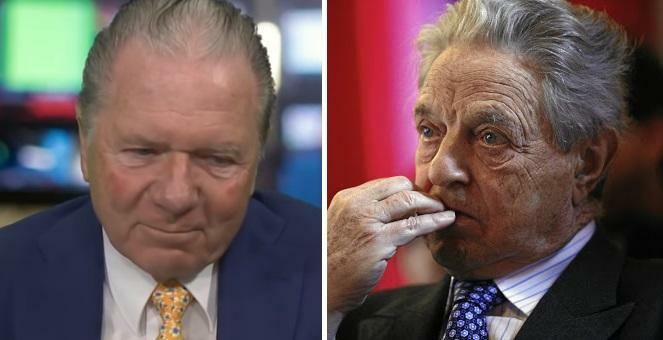 Florida's Richest Man Blasts America's Wanna-Be Socialists, Says "Soros Is An Anarchist"
Hungarian billionaire and Florida's richest man, Thomas Peterffy, had some choice words for fellow Hungarian billionaire George Soros during a conversation with CNBC about socialism and the 2018 US election. The 74-year-old founder of Interactive Brokers, who has a net worth of approximately $22.5 billion, suggested that people pushing socialism "basically don't understand what they are talking about," and likely "haven't really studied the issue." "Products like an iPhone, for example, could never happen in a socialist country," he said. When asked about Soros, Peterffy said he is an "enigma" and an "anarchist." Ross Sorkin: Thomas, what do you make of the both the personal attacks - the bomb that was sent to his home, uh, he was also born in Hungary, he's also a billionaire, George Soros? Peterffy: I don't think that people should do things like that. It's a terrible thing, I mean, you know, that person who should be put in jail or even worse - we should be civil to each other number one. Number two, we should have a debate instead of screaming and yelling at each other. Ross Sorkin: Why do you think given both of your backgrounds - how would you explain where you ended up in terms of how you think about the world, and where he ended up in perhaps how he thinks about the world? Peterffy: George Soros is an enigma. He's a very bright man and I absolutely do not understand why he behaves the way he does. I think he's basically an anarchist. He was against communism in the 70s, and he's against free market capitalism today. So I don't know what is in between. So I don't understand it. Ross Sorkin: I'm not so sure that a, he's an anarchist. I'm not so sure that he doesn't believe in markets at all. I think that this might be an extreme version - the suggestion you're making. I'd also make the argument that potentially, talk about socialism or socialism in Florida even, I'm not so sure that's what is really on offer, so much as it's about the pendulum swinging. Peterffy: Yeah, well, look - I mean you go to any socialist country.. you can't find any country where socialism has been tried and where people are happy. It usually fails after some bloody interlude, it swings back to capitalism. Starting with the French revolution that has been through all throughout history. So ask yourself why is that? Why isn't there a socialist country today where people are happy?